Abraham Attah was a complete newcomer when he was chosen to play in the movie. 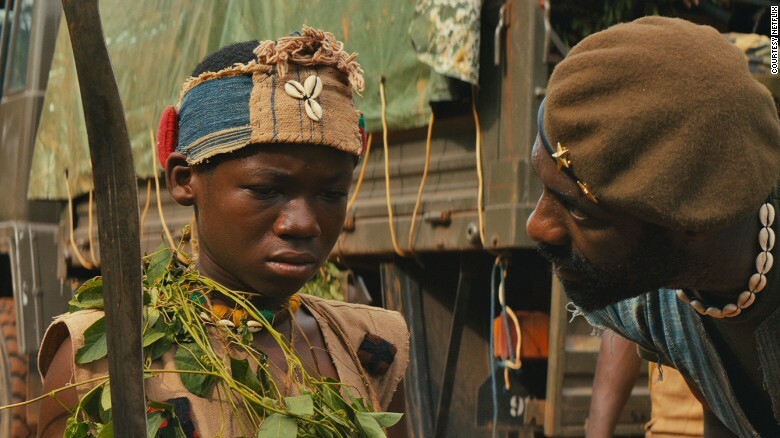 (CNN)While most 14-year-olds are busy worrying about their adolescence, Abraham Attah has bigger fish to fry — he’s already carved a name out for himself in the international film scene. According to the film’s director Cary Fukunaga, Abraham was working as a street vendor in Accra before being randomly chosen to take part in casting workshops for the blockbuster. “[He had] zero film experience, little education…but he became a somewhat professional actor, which was astounding to watch,” the Emmy award-winning director was quoted saying by Business Insider in April. Abraham plays Agu, a young boy whose world is torn apart when he is recruited as a child soldier in the civil war raging through an unnamed West African country. Idris Elba, the Golden Globe-winning star of “Luther” and “Mandela: Long Walk to Freedom” plays the ruthless warlord who orders him into becoming a young killer. 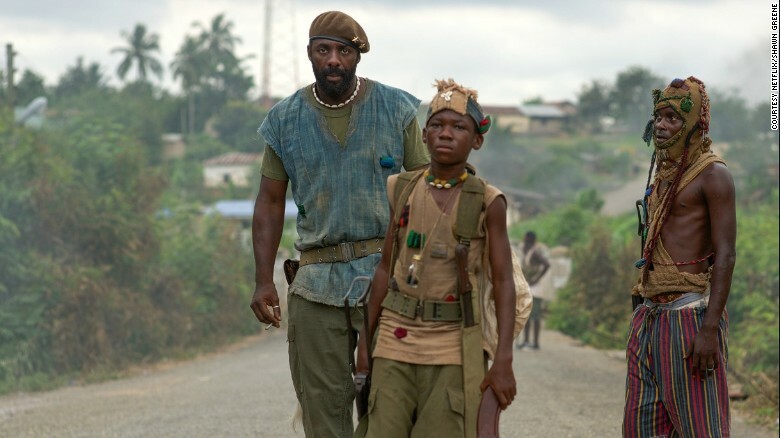 “Beasts of No Nation” follows a brutal civil war in an unnamed West African country. “He was playing hooky from school,” added Fukunaga. Based on the 2005 novel by Nigerian author Uzodinma Iweala, the film has wowed critics at Venice and Toronto Film Festivals and already been tipped for an Oscar. Netflix ruffled feathers this spring when it announced that the movie will premiere online at the same time as in cinemas, leading major U.S. movie theater chains to reject it. Traditionally, films have to wait 90 days after cinema screenings to be released online. “Beasts of No Nation” becomes available on Netflix and selected cinemas on October 16. ← Mummy did that woman get f@!*!! last night?